A conversation began in the highlands of south central Ghana that has rippled around the world. And you have become a part of it! 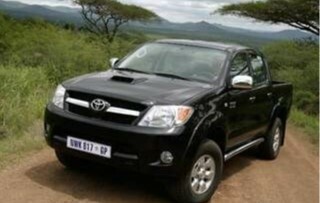 This is the kind of vehicle Josh Heikkila intends to purchase in the near future, thanks to the financial support of churches and presbyteries across both Ghana and the United States. In September 2017, a conversation was initiated at the Ramseyer Training Centre in Abetifi-Kwahu at the Ghana Mission Network meeting. 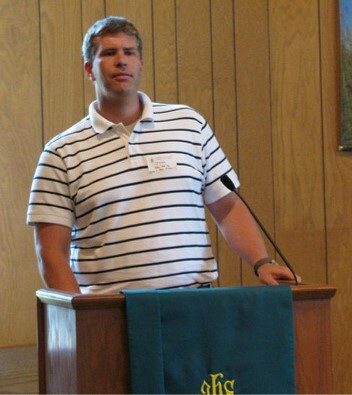 Josh Heikkila serves as the Presbyterian Church (U.S.A.) regional liaison for West Africa. In that position Josh relates to Presbyterian Churches in Ghana, Nigeria, Niger and Togo. The work he does involves extensive travel under daunting conditions. It is no surprise that motor vehicles bear the brunt of travel on these roads. It is also no surprise that vehicles wear out – which is exactly what has happened for Josh in the ministry in which you share with him. A conversation in September at Abetifi-Kwahu led to action on two continents over a period of several months. The Presbytery of Lake Erie voted to provide an initial gift in November, as well as providing dollar-for-dollar matching gifts. The matching gifts were made available to both churches within the Presbytery of Lake Erie as well as churches and presbyteries in the Ghana Mission Network. Out of God’s generosity, an abundance of gifts have been received in order to support “Wheels for Josh.” Over the past six months, 16 of the 58 churches in the Presbytery of Lake Erie provided extra commitment gifts of more than $9,900. Nine partner churches and presbyteries across the Ghana Mission Network in the United States also contributed matching money totaling $6,400. Including the matching money from the Presbytery of Lake Erie, a grand total of $31,301.78 was raised, by the grace of God, for “Wheels for Josh” across the Ghana Mission Network! This transportation conversation is also a two-way street. The Upper Northern Presbytery, Evangelical Presbyterian Church Ghana, also made a sacrificial gift of 3,000 cedis ($750) to this joint effort. The churches in northern Ghana also understand the great value of this partnership. But the good news stretches beyond that. A partnership that shares a profound faith in Jesus Christ also saw spiritual and financial support coming from the Fumbisi congregation in northern Ghana. To quote from Presbyterian News Service, the church members sold peanuts in the local marketplace and donated the money they received to support the work of Presbyterian mission co-worker Josh Heikkila. “We don’t have much but we decided to give something small just to support him,” said Gladys Lariba Mahama, pastor of the Fumbisi congregation. The gift is more than the average Ghanaian earns for an entire month, Josh says. Their Pastor Gladys attended the meeting at Abetifi-Kwahu. She heard an appeal for network members to give to Josh’s ministry and urge their congregations to do so. Though the request was intended to garner U.S. support, Gladys decided that her congregation could help as well. “I told the session and the congregation about the need and everybody was happy to contribute,” she said. Christians in Ghana and Christians across North America have partnered on a practical project that has helped relationships to be built and Good News to be shared. Thanks be to God!